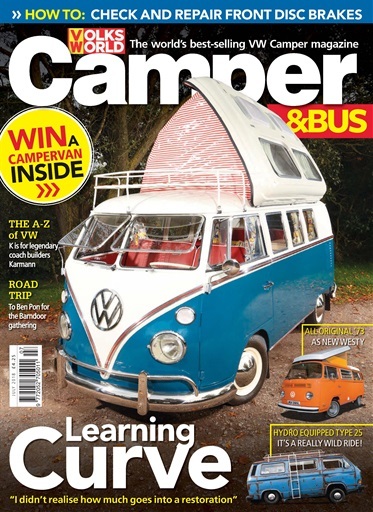 (2 Customer Reviews) | Write Review 13 issues per year VW Camper & Bus magazine is the number one worldwide magazine dedicated to the iconic VW Camper. It contains everything any Bus fan would ever need to know including news and products, entertaining and knowledgeable history features to a useful step-by-step ‘How To' section. 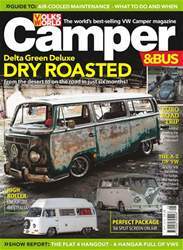 The magazine also includes a variety of readers' content from inspirational road trips and stories to features on everyday Camper Vans. It covers vehicles dating way back to the initial launch in 1950 up to the present and the very latest Camper available on the road today. Looking for VW Camper in print? Unfortunately pocketmags.com does not sell print copies of VW Camper, but all is not lost. Our partner at magazine.co.uk sells print subscriptions at the best prices online. The latest issue of VW Camper is now available to download. 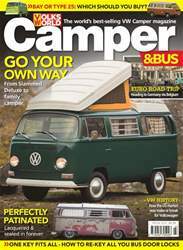 VW Camper & Bus magazine is the number one worldwide magazine dedicated to the iconic VW Camper. It contains everything any Bus fan would ever need to know including news and products, entertaining and knowledgeable history features to a useful step-by-step ‘How To' section. 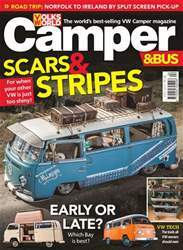 The magazine also includes a variety of readers' content from inspirational road trips and stories to features on everyday Camper Vans. It covers vehicles dating way back to the initial launch in 1950 up to the present and the very latest Camper available on the road today. You'll receive 13 issues during a 1 year VW Camper magazine subscription. 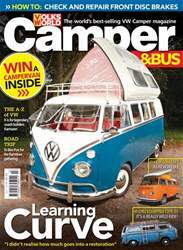 If you have a VW camper, this is the mag for you, packed full of ideas on how to convert and restore your camper van. Whilst this magazine does have plenty of useful advice and tips for VW owners, it's also a good read for people who don't have their own VW bus (yet). It has all kinds of articles and information but my favourite are the photos. There are photos from festivals and events, with all kinds of vans and buses in attendance. My absolute favourite are people's stories of their travels and photo diaries of buses and vans which have been done up. You'll receive 13 issues during a 1 year VW Camper magazine print subscription.